Windows Insiders got an early Valentine’s gift from the Windows Insider program manager, Gabe Aul, when he announced the release of the Windows 10 Technical Preview last night at approximately 8:00pm local time. 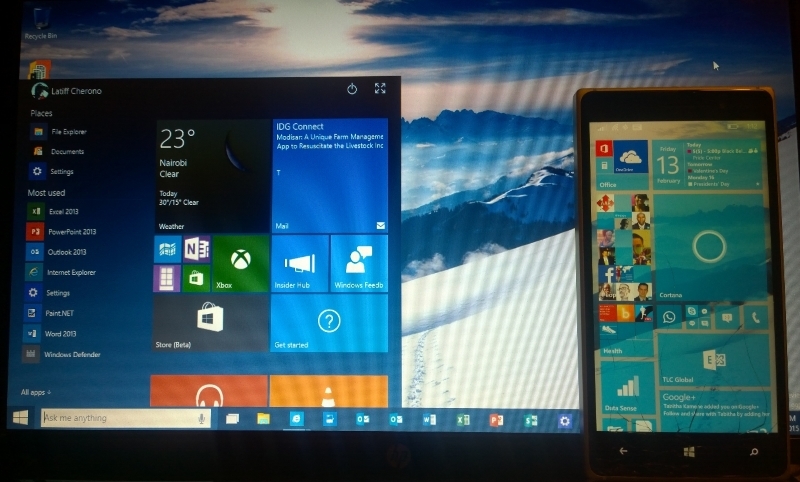 Windows 10 marks an important milestone for Microsoft as it is the first OS to run across all device form factors. To read more about the Windows 10 Technical Preview, check out our hands-on preview. Joe Belfiore had shown earlier preview of Windows 10 on phones during Microsoft’s January 21st event and also stated that the Windows Phone users would be able to check out Windows 10 on their device before the end of February. Well wait no more because it’s here. Lets dig in! This is due to two reasons. First as this is a very early preview, which would normally only be tested in-house, it is important to limit the chance that any serious software bug would affect many users. Secondly, the high end devices like the Lumia 930, Lumia 1520 and Lumia Icon are still undergoing a special storage partitioning system that will allow smoother Windows 10 installs. If you don’t have any of the devices listed above, don’t worry as the Windows 10 Technical Preview will be rolled out to most Windows Phone devices within the next month. Also note that since this is an early build, there will be many new features that will be buggy. In-fact after uninstalling Windows 10 technical Preview on my Lumia 830, I had several apps freeze on me. Thus do not install Windows 10 if you only have one phone. You will need to sign up as a Windows Insider, then download the Windows Insider app to your device. Once you login into the app, you will directed to sign into your Microsoft account and verify that you are a Windows Insider. The next step will be to select which build of Windows 10 you want to install (fast or slow). This will refer to the rate at which you will get updates from Microsoft; slow builds are more stable, but fast builds deliver new features sooner. Once you select your preference, the phone will guide you through a series of install screens, until finally Windows 10 technical Preview for Phones Build 41.12498 is installed. The following is a preliminary list of the changes that are coming to Windows 10. Over the next few weeks, we will look at these changes in greater detail. However for now, browse through our screen shots of Windows 0 technical Preview installed on a Lumia 830. Start screen: 2 new tile sizes as well as full background wall paper on start screen as well as settings page.